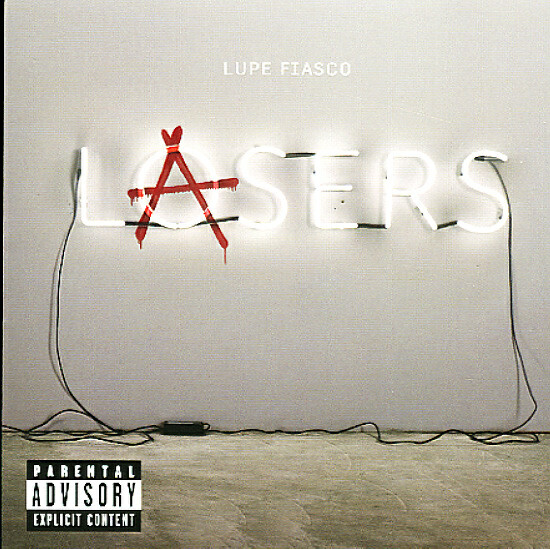 Lupe Fiasco proves again why he's one of the most respected voices in early post-millennium hip hop on Lasers – running the show here, but with some guest spots by Skylar Grey, Trey Songz, MDMA and others. Lupe is that fascinating figure who is more likely to be heard plotting a route out of the rap game than he his plotting a takeover – and that sometimes thematically weary and wary, but always passionate and exuberant voice is at the center here. Titles include "Words I Never Said" with Skylar Grey, "Till I Get There", "Out Of My Head" with Trey Songs, "The Show Goes On", "All Black Everything", "Coming Up" feat MDMA, "Never Forget You" with John Legend and more. © 1996-2019, Dusty Groove, Inc.